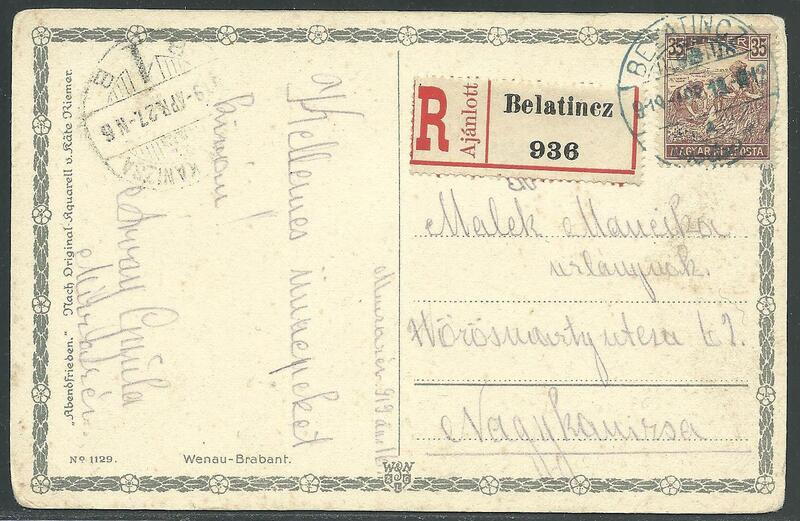 ,,Picture postcard franked 35 fil. (Harvesters) sent registered from Beltinci (919 - APR 19.) to Nagy Kanizsa (919 - APR 27. ).